According to traditions from both sects, Ameerul Momineen, Ali Ibn Abi Talib (a.s.) is the best judge among all Muslims. There are many traditions reported by Ahle Tasannun scholars on this subject. Once, the Messenger of Allah (s.a.w.a.) sent me to Yemen (as judge) while I was very young. of disagreements and troubles (to be settled) and I am a very young man! He (s.a.w.a.) placed his hand on my chest and said – Surely, Allah will guide your heart and make firm your tongue. After that, I never doubted while judging between two persons. Certainly, the most proficient in my nation in passing decrees is Ali Ibn Abi Talib (a.s.). Ali (a.s.) was the knowledgeable in the nation in passing decrees. Umar used to say – May Allah never entangle me in a difficulty in Abul Hasan’s absence. We used to say – There is no better judge than Ali Ibn Abi Talib (a.s.) in the whole of Medina. Traditions under the topic (i.e. Ali is the best judge) have been narrated by many groups of Ahle Tasannun scholars. …and it is narrated from Saeed b. Abi Khuzaib, a companion of Imam Sadiq (a.s.) – Ibn Abi Laila and I entered Medina and went to the Prophet’s Mosque when Imam Sadiq (a.s.) entered. We approached him (a.s.) and Imam (a.s.) asked about me and my family. Then he asked about my fellow traveler Ibn Abi Laila. I said to Imam (a.s.) – He is Ibn Abi Laila, the judge of the Muslims. Imam (a.s.) asked him – Have you taken the property of one person and given it to another or have you made divorce between a husband and a wife and in this were you fearful of anyone? Imam (a.s.) asked – Through what do you judge? He replied – Through the traditions that have reached me from the Holy Prophet (s.a.w.a. ), Abu Bakr and Umar. Imam (a.s.) asked him – Has this tradition of the Holy Prophet (s.a.w.a.) not reached you that – In judgment Ali is the best amongst you. Imam (a.s.) asked him – Then why don’t you judge as per the judgments of Ali (a.s.), even after this tradition has reached you? In the absence of similar traditions in favour of other companions, Imam Ali Ibn Abi Talib (a.s.) was the most suited to pass decrees on matters like Fadak, as also selection of the caliph, matters which deeply divided the nation. In fact, he (a.s.) was most suited to rule over the nation by virtue of being the best judge, in addition to other merits like knowledge, bravery, relation with the Prophet (s.a.w.a.) – all traits in which he excelled over the companions. 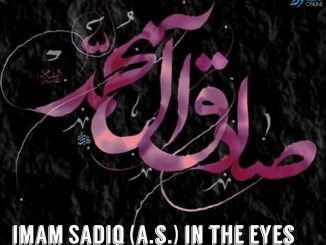 Of course, the most important event that makes him eligible for caliphate was his public appointment at Ghadeer, as the successor of the Holy Prophet (s.a.w.a.). Unfortunately, not only did the Muslims ignore Ameerul Momineen’s (a.s.) innumerable merits but they subjected him to oppression and chose lesser ones to rule the nation.